If you are looking for eye doctors in Topsfield, MA there is no better treatment than from the professionals at Parrelli Optical. Since 1968, the Parrelli team has been devoted to meeting all of their patients’ eye care needs. 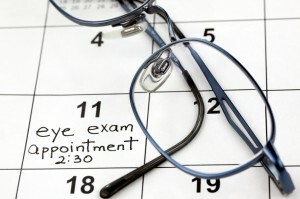 Parrelli Optical is dedicated to providing the best exams of any eye doctors. Standard tests for every eye exam include a slit lamp examination, cataract screening, visual field examination, and much more. This allows for an accurate assessment, which ensures the eye care provided is the most effective possible. We offer lenses, frames, and contacts in a wide variety of styles and colors, so no matter which type of eyewear you prefer, we can provide a variety of options. We are able to take you through the entire process, from the eye exam to the final form of eye care. We also provide several other services such as punctal plugs, ocular allergy therapy, and tear film assessment. For over 40 years, our experts have strived to be the most trusted eye doctors in Topsfield, MA by ensuring the best service possible. Our goal is to make sure that each patient receives the eyewear that is right for them, which is why everyone’s visit is customized to fit their needs. We listen to each patient’s concerns and then decide on the best solution at an unbeatable value. We have assembled a team dedicated to providing top-of-the-line eye care combined with eyewear that that is stylish, comfortable, and effective. When it comes to eye doctors in the Topsfield area, there is no location that offers the options and quality of service that you can find at Parrelli Optical.